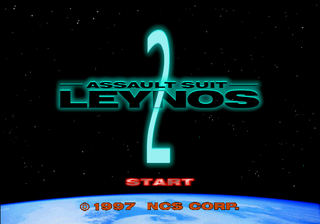 Assault Suit Leynos 2 (重装機兵レイノス２) is the direct sequel to Assault Suit Leynos. It was released for the Sega Saturn in 1997. Main article: Assault Suit Leynos 2/Magazine articles.